Baby Girl Shower Ideas | Little Girl Baby Shower Decorations, Favors And More! Baby Girl Shower Themes suggestions, listed below. Baby Girl Shower Ideas and Themes from Fuchsia to Lilac, to pretty in pink, and loaded with soft sweetness. Adorable Baby Girl Shower Invitations, Baby Girl Shower Favors and Baby Shower Theme Ideas for fabulous and trendy Mom-To-Be. Baby girl showers come in many different flavors. Sugar and spice and everything nice ... what little girls are made of. What FUN planning is for little girls! When you think of baby girl shower ideas, you probably think Pink, right? Well, we found “Pretty in Pink” to have a whole different meaning to baby shower décor. It’s not just pastel baby pink any more. Taking a cue from wedding décor and birthday décor (apropos, right? ), we’ve put together the above baby girl shower themes slide show to provide some ideas for you and a few suggestions for each baby girl shower idea. Before we start, sometimes a quick look at Baby Girl Shower Invitations will get your creative juices flowing for little girl baby shower themes. So, take a look and get some ideas. Every little girl dreams of a fairy tale life as a princess, or beautiful maiden doting upon her vast kingdom. Using soft muted pinks and a touch of coral, warm the hearts of your guests with exquisite dainty delights. The crystal collection pacifiers are an adorable and so very elegant addition to your Baby Shower Favor Ideas. 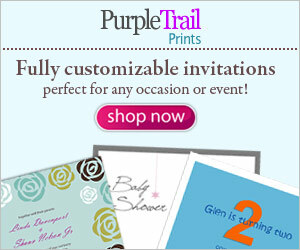 Choose an invitation only fitting for a princess. Decorate the room with shimmering organza ribbon tied around crystal votive candles for game gifts. Use glass and crystal for serving a light brunch to coordinate with your dainty dessert spread. For more decorating ideas, take a look at our little girl baby shower decorations. Sweet and soft, pulled to perfection. Paired with pink neccos and complimented with red hots, surrounding the main event of white cupcakes with pink butter cream frosting. Drizzles of candy cane and chocolate wrapped in pink. Decorate with pink, red and white stripes with polka dots. Serve a cold lunch with Gazpacho and finger sandwiches. Visit our Baby Shower Food Ideas page for more scrumptious baby shower food, recipes, & menu planning tips. Find red and pink scarves for game gifts. Use white organza favor bags with red polka dots to fill with red hot hearts. Find more "Pretty in Pink" favor ideas on our baby girl shower favors page. Find more unique bags on our Baby Shower Favor Bags page. One of the bright and fun baby girl shower ideas ... wild, yet delicate. Fuchsia cherry tree blossoms of bright pink lollipops stand guard over the delicate truffles and mini cupcakes. Drizzles of fuchsia cherry over dark chocolate blend seamlessly with the wild cherry pink decor. 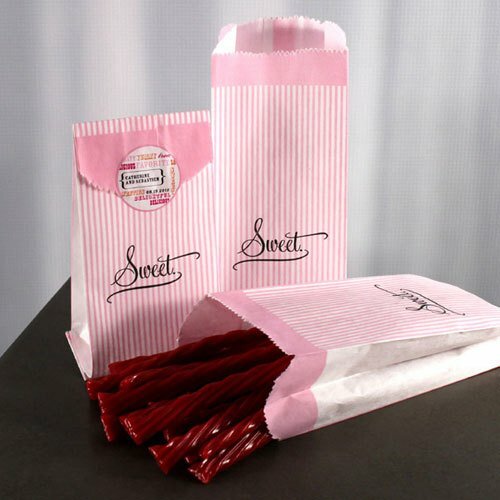 Clean up with these cherry cheesecake shaped favors that are actually mini hand towels. Decorate the room with fuchsia streamers and pink and white balloons. Serve a warm brunch of quiche, with toasted bagels, croissants, sweet breads and dollops of cherry cream cheese and fruit spreads. It's Pucci Pink! From the fuchsia red and lime green decorative cupcake tower, and the caramel nougats, chocolate covered pretzels ... to the cotton candy and popcorn in lime green and pink jelly beans. A bright and sweet baby girl shower idea to decorate a la couture for the trendy Mom-To-Be. Continue the upbeat and bright feeling with felt brightly colored favor bags. Fill with your favorite treats or a special gift for each of your guests. Keep decorations simple and to a minimum. Serve a light soup and layered salads with focaccia bread. Melon pink and warm lemon yellow set the tone for for this geometric, yet soft look. Hints of raspberry and lemon, pink chocolate combine in the panna cotta and ice cream cupcakes. While stained-glass cookie garland streams above. Give your guests baby shower candle favors and decorate with warmth and comfort in mind. Make a melon ball fruit salad with cantaloupe and watermelon. Set out a variety of cheeses, wheat and water crackers. Serve a dinner of lemon roasted pork, with black beans and yellow rice. Pink's cousin, "Purple" ... in this baby girl shower idea, Opalescent and lilac treats dominate this theme ... as sugar plum fairies dance in your head. Give your guests a purple lilac lollipop towel treat favor. Invite them for a morning tea party on the patio or terrace decorated with fresh cut lavender and lilac flowers. Serve blueberry scones and muffins or even pancakes or waffles. Purple coated chocolate candies, striped opalescent candy canes and a white cake scattered with stars all accent this dreamy white and purple lilac theme. The color purple represents Royalty, and what a perfect color scheme for the new Little Princess on the way. For baby girl gift ideas take a look at our cute selections of Unique Baby Gifts in the Sacco Bambino® Store.